You can give online order by using product codes. An indispensable complement of the furnitures, the Avantgarde Coffee Tables are in this category with its rich appearances. 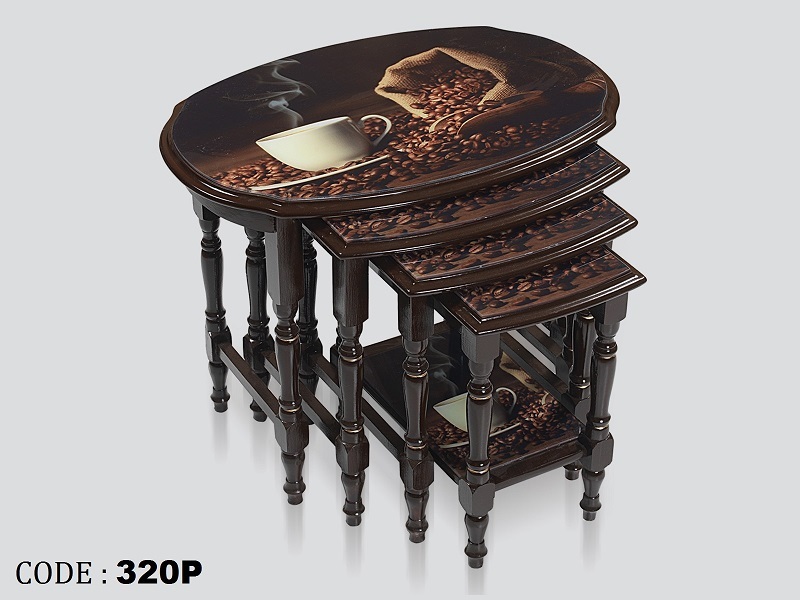 High qualified, unique and stylish designed economic coffee table models of Yücel Furniture are in this category. Yucel Furniture 4+1 coffee table models,where elegance is processed with different faces, are in this category with showy styles. Glazed Coffee Tables whose designing and production firstly made by Yücel Furniture are in this category with creative designs. Yücel Exclusive Accessory Sets including Dressuars, Phone Tables, Middle Tables and Avantgarde Tables are in this category. Accessories enriched with details and including hangers, fiskos and bag tables are in this category by difference of Yucel Furniture. Yücel Furniture	© 2015 All Right Reserved.